Caroline Scherrmann’s practice has focused on advice and litigation in relation to vocational training, restructuring, negotiation of company-wide agreements and career-management for top executives within international groups. She has also specialised in advising the representative vocational training agencies (opérateurs de compétences or OPCO) on changes to their legal status or organisational structure. 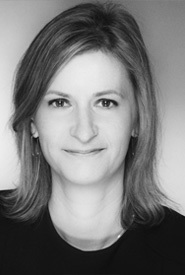 Caroline Scherrmann, who speaks fluent English, holds two Masters Degrees (labour law, pharmaceutical law) and a Master of Laws in EU law; she began to practice in 2005 with Freshfields Bruckhaus Deringer, before joining the teams of Hubert Flichy and Olivier Kress at Flichy Grangé Avocats in 2010.